ISM-037 is a kind of instrument used to measure and display the released heat power when the heat-carrying liquid pass through the heat exchange system. It has two parts, which is ISM-037 heat meter and its controller. The controller and heat meter are separated structure and communicates by wireless way. 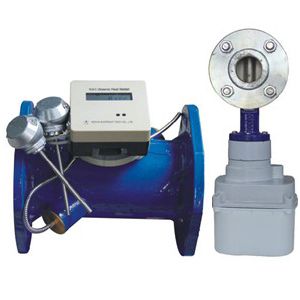 The heat meter is consisted of flow sensor, microprocessor and matched pair temperature sensor. The meter is designed and developed on the basis of the European Standard EN1434 and OIML-R75 International Standard, and has high performance and low energy consumption, and in line with the product standard CJ128-2007 Heat Meter issued by Ministry of Construction of China. 1. Alarms when voltage is low. 2. Automatic data correction technology. 3. High definition and wide temperature LCD display. 4. Flow rate has 8 levels and are separately adjusted, with high precision. 5. Ultra-low energy consumption (static power consumption is less than 7μA). 6. The tube adopts forging technology and with Straight-through body. 7. Measuring mechanism has no moving parts and no wear and tear forever. The measuring accuracy will not be influenced by using period. 8. Optical interface, long distance communication, can read meter by PDA. 10. Automatically upload date to controller at regular time by wireless way. 11. Open and close valve at regular time, which effectively prevent valve rust.